It's time. The sun may be shining, but you're about to spend the next few weeks sat in front of your gaming PC, as the Steam Summer Sale 2018 is set to kick off today. That's information courtesy of the Steam Database Twitter account, which has reliably pointed to the kick off date of previous seasonal steam sales. Evidence of the sale started to surface last week, with the game distribution platform's collectable cards introducing a set of "Mysterious" entries last week. It's not surprising given the regularity of the Steam sales, or at least the summer ones. 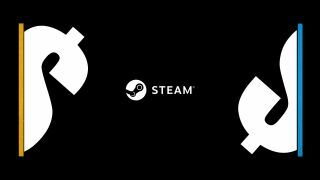 Steam Summer sales tend to land around the same time each yeah, with the 2017 discount season kicking off on June 22 and the 2016 one beginning on June 23. The Steam Summer sale tends to be the biggest of all publisher Valve's discount events, with huge swathes of the catalogue seeing its price slashed dramatically. But don't get carried away! It's easy to overspend during the Steam sales, so be sure to check out our Steam Summer Sale guide to make sure you're getting the best deals possible.